Last night was a long night, made even longer if like me you were holding your breath for hours. Anyway, today is a new day and forward is the only way to go for all of us! I'm offended. Troubled, to say the least. 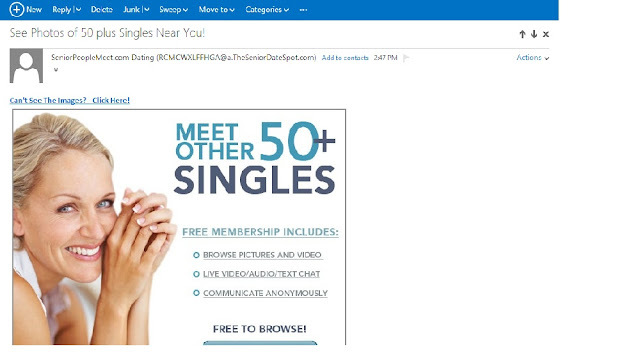 And admittedly it's not because of the fact that I'm married and never signed up for any such dating sites. 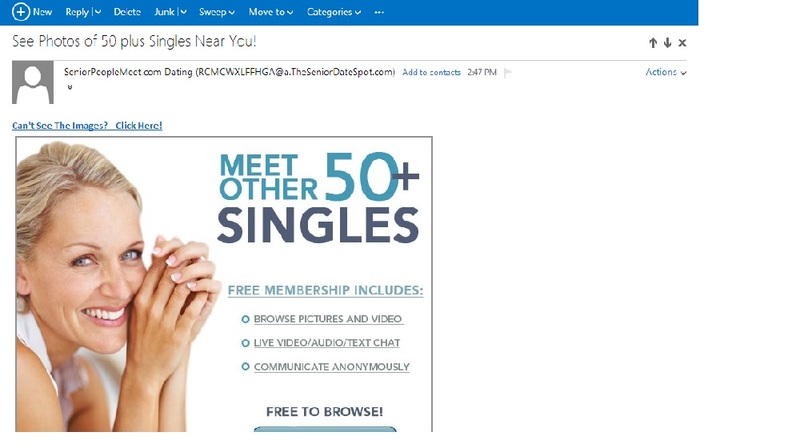 It's the fact that I'm getting emails from a site called 'SeniorPeopleMeet.com'. Next week is going to be my birthday and though I am undeniably aging, I refuse to label myself 'senior' at this point. What's more, if indeed I were single and looking for dates, I resent the fact that my 'date-able pool' now belongs in the 'Senior' category. I don't mean to disrespect seniors and / or the elderly population in general. I have great respect for them, trust me. It's just that, though I've repeatedly revealed that I tend to be attracted to men 'more mature' than my 'very late 30's cohort', I'm not quite at that point yet of saying that these are the ones bearing senior citizen cards. Maybe they do, maybe they don't. But I'm not admitting it. I have a lot of gray hairs. I have been diagnosed with osteoarthritis. My back and different joints hurt. I'm seeing more lines and age spots on my face which translate to putting more effort at fixing myself when I need to step out of my house. More time on the treadmill is also now required if I just want to maintain my weight, let alone try to lose a few pounds. So yes, I know I'm really getting older. But please....can we delay the 'senior' label for, maybe a couple more decades?? ?